Building and testing applications are the core features of Buddy, right alongside deployments. In order to test your app properly, however, you often need a database or some other service. Buddy handled that with predefined services like MySQL, PSQL or MongoDB. Until now. Dear developers, From March 18 to March 23 we will be upgrading the system on our build servers. There will be no downtime whatsoever, but some of the pipelines might be temporarily run without the cache, which will prolong the execution time. The slowdown may happen only once per pipeline, and concerns only 20% of all our users. If you wish, you can reach out to us on support@buddy.works or on the live-chat, and send the URL to your account – we’ll check if your workspace is among those 20% and send you the list of pipelines that may be affected. Thank you for understanding and sorry for possible inconvenience. “Clean”, “intuitive”, “easy to use” – Buddy’s UI is probably the most praised feature of the service, which makes us extremely proud. Of course, it’s not about bells & whistles just for the sake of it – every single element has been carefully crafted to help developers introduce CI/CD with as little effort as possible. However, we’ve been adding new features for so long now that the time has come to clean up the house and move some furniture. Fixed a bug with the displayed stacktrace when the error was not handled — thanks for the heads up, Ashish! 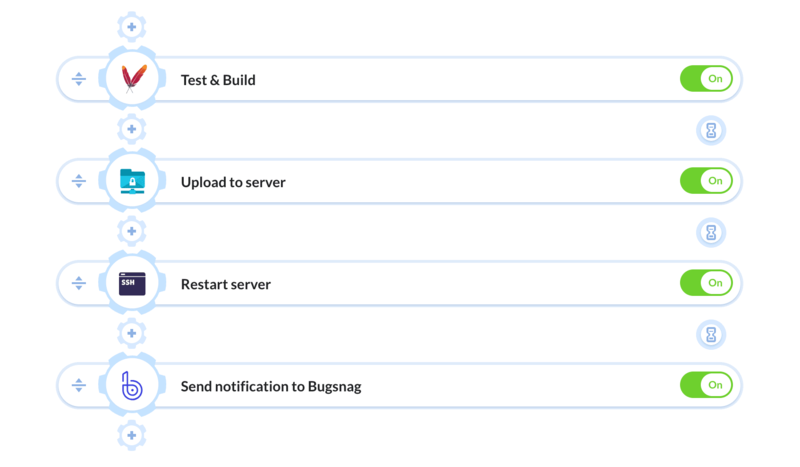 Bugsnag is a lightweight monitoring platform which allows developers to track application stability. Connecting Bugsnag with Buddy will let you send release details about your deployments in order to indicate performance spikes and take action if necessary. With the release v2.2.3, we have raised the Docker services to v18.09.2. The update fixes the recently detected privilege escalation vulnerability, which allowed attackers to overwrite the host runc binary (and consequently obtain host root access) by leveraging the ability to execute a command as root within new and existing containers. Testing is essential to keeping high quality of code. However, it can also prove very time-consuming if you run a large number of tests. To reduce testing time, we have introduced a new action that will let you split your tests in packages across several actions and run them in parallel.